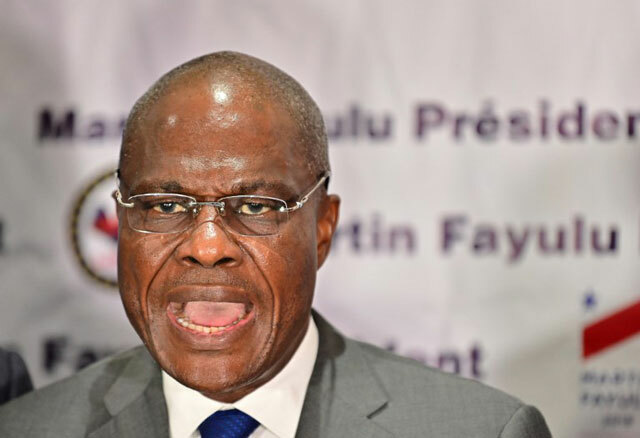 Democratic Republic of Congo opposition candidate, Martin Fayulu has declared himself as President despite the court announcing the opposition candidate Felix Tshisekedi as the incoming leader. “I now consider myself to be the only legitimate President of the DRC. I therefore ask the Congolese people not to recognise any individual who is illegally availing himself of that quality or obeying orders that emanate him.” he posted in a tweet. The elections have been marred with controversy amid claims that court-declared president, Felix Tshisekedi has made a power sharing agreement with outgoing President Joseph Kabila. The African Union earlier urged DRC’s National Independent Electoral Commission to withhold the election results. “There were serious doubts on the conformity of the provisional results, as proclaimed by the National Independent Electoral Commission, with the votes cast,” their statement read. But DRC’s government spokesman Lambert Mende rubbished the demand saying that it is not he business of the government or the African Union to tell the court what it should do. The electoral commission announced the final vote tally that Mr Tshisekedi received 38.5%, Mr Fayulu 34.7% and Ruling coalition candidate Emmanuel Shadary 23.8%. In a statement released by Mr Fayulu, he says that he was elected by a landslide win of over 60% of the votes cast. “As a matter of fact, it is not a secret from anyone inside and outside the country that you have elected me as President of the Democratic Republic of Congo with over 60% of the votes.” his statement read in part. Different foreign media houses also report seeing documents which confirmed Mr Fayulu as the winner. He as called for the people of Congo to hold peaceful protests in order to defend the country’s sovereignty.